Heard about this through social media. I love it when then that platform works! 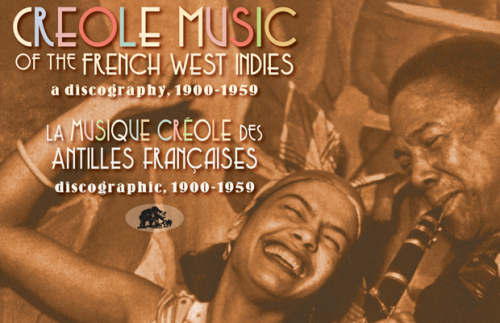 Soca News announces the upcoming publication of Creole Music of the French West Indies: A Discography, 1900‑1959 by Alain Boulanger, John Cowley, and Marc Monneraye. This book will be released on October 30, 2014. Dedicated students of the history of Trinidad Carnival will probably have on their bookshelves a treasured copy of Carnival, Canboulay and Calypso by John Cowley. Published in 1996 by Cambridge University Press, it is the authoritative work on carnival from the 1780s up to 1920, much of it based on contemporary reports. It is exciting, then, to hear that Cowley has contributed to a major new work, which will be published in English and French on 15th November.